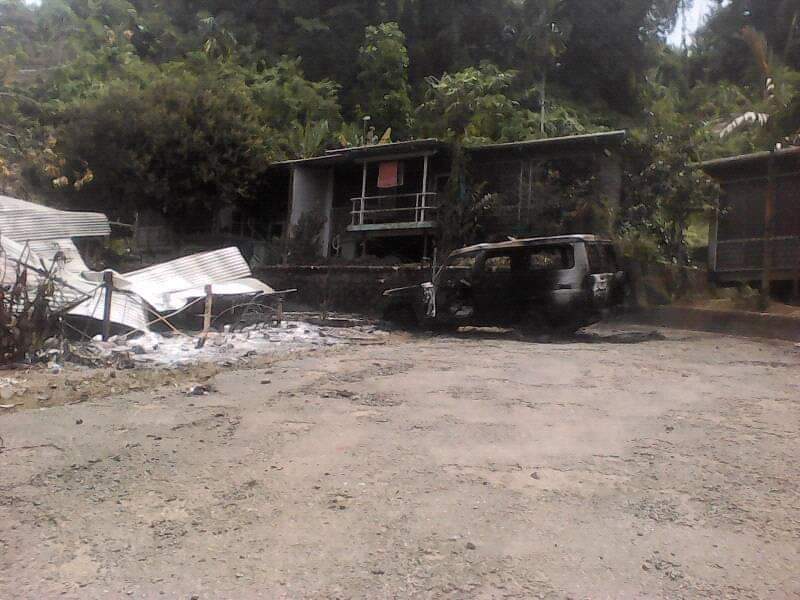 A 21-day dusk-to-dawn curfew that comes at a cost of K2 million (US$611,000) will be imposed in Milne Bay and a Police Tactical Force (PTF) team is on the ground to arrest or kill notorious criminal Tommy Baker and members of his gang. The three-week curfew, and deployment of the police, are part of a plan by the provincial government and recommended by the provincial law and order committee last Friday, two days after about 20 armed men terrorised a police barracks in Alotau on Wednesday night, January 23. The criminals, who are members of Tommy Baker’s gang, took control of the township for about six hours, shot and killed a lawyer, torched the police barracks at Misima Street, stole two provincial government vehicles and a BSP ATM at Alotau International Hotel. Twenty-five members of the PTF team landed at Gurney airport about midday last Friday as the law and order committee met and resolved to impose the curfew and take immediate and short-term measures to neutralise Baker and his gang and combat law and order problems. After receiving a situation report on the events of Wednesday night, the provincial law and order committee dealt with a prison escapee surrender package and an integrated approach to address law and order issues. The meeting ended with an address by Esa’ala MP and Minister for Justice and Attorney-General Steven Davis. The other MPs were not present. Speaking on behalf of his colleagues, Davis said the four district development authorities of Alotau, Esa’ala, Kiriwina-Goodenough and Samarai-Murua had committed themselves to address Milne Bay’s law and order issues and the K2 million would come from their district services improvement program funds. “We must work together and come up with strategies . . . to inspire a vision to make Milne Bay regain its number one position (as the most peaceful province in the country),” Davis said. He said the provincial executive council and the provincial assembly must be convened in the next two months to make law and order number one priority for Milne Bay. “I’m here to make sure that the engine room is ready. In terms of leadership, the political leadership is here. The work has started and we are ready, able and willing to deliver. “All of us, together, must work harder and smarter. If Milne Bay can get it right, we can set a template for Papua New Guinea,” Davis said. The curfew, deployment of the PTF team, prison escapee surrender package and an integrated or holistic approach are part of a strategic action plan that would include medium and long-term measures to address law order issues. The eight members of law and order committee endorsed the provincial government’s overarching theme objective of “Making Alotau Milne Bay safe again” to restore Milne Bay as Papua New Guinea’s most peaceful and safest province.